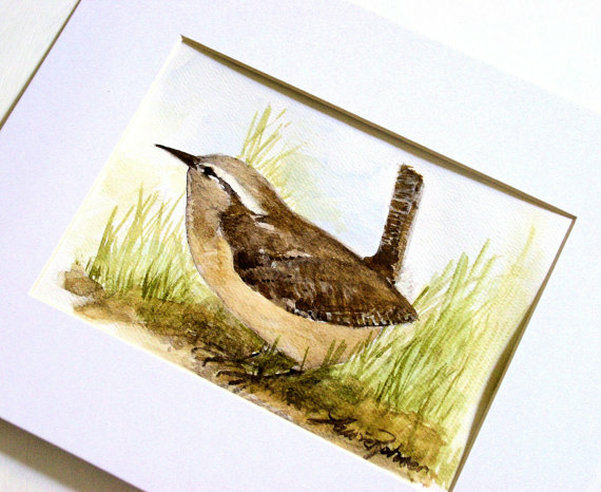 Nature Art woodland bird rendering of a is a watercolor original paintings on paper by Laurie Rohner. 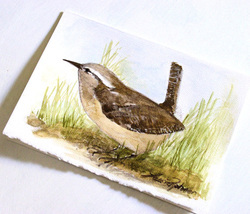 SOLD Nature art watercolor card is an original art work painting of a woodland bird titled Wren in Grass by Laurie Rohner. 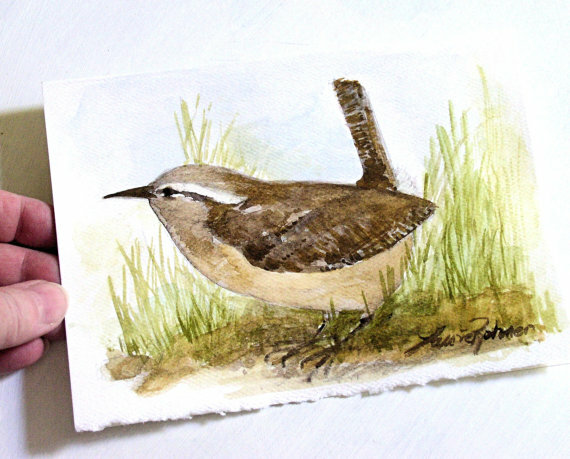 Where I live there are wrens all around and I love these birds. They are inquisitive like me and have a clear song which always brightens a day. 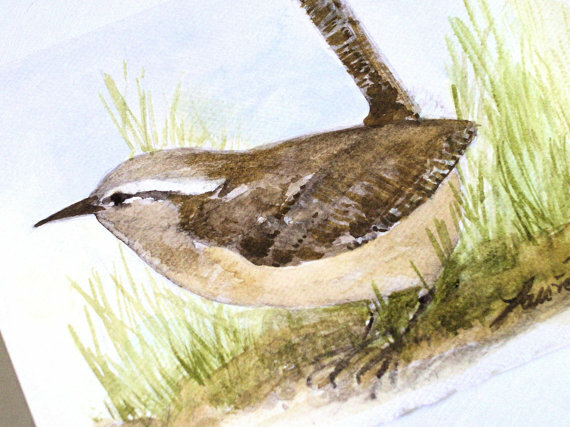 This woodland bird is checking out the bug in the on a blade of grass wondering if the youngsters will like. This card ships to the USA at no charge. Charges will not appear on final bill.